Would you like to hire the top 20% of all sales candidates while reducing costly sales turnover? GET YOUR FREE COPY OF OUR E-BOOK TODAY & START DRIVING NEW SALES!! We use a targeted sales selection process to locate the top sales talent in the U.S. for entry level to sales executive level positions. Our Sales Training Programs are custom designed to increase the sales productivity of your salespeople–offering a proven system to sell. Your customized playbook provides the best customized sales strategy for your company, and includes sales structure, process training and metrics. We have developed a test called, “Sales DNA” to identify top sales executives who have what it takes to succeed, are top 10% producers, and are in your niche. We have a proven track record of success with more than 15 years of experience in sales recruiting. We aren’t just another sales recruiting firm who will send candidates. We know what it takes to find top talent. A great salesperson represents an “A Player” and usually represents the top 5-10% of any sales organization. The challenge, of course, is interviewing ten sales candidates and then being able to choose the top one. This is a difficult task because when we interview ten people, they may all look good to us. That is why we have created the “Sales DNA” test to identify who will be a winner. In fact only 1 out of 5 sales candidates pass our test, leaving you with only the best candidates. Thanks for an awesome session today. The Playbook is excellent … we are all learning and now “see the light." 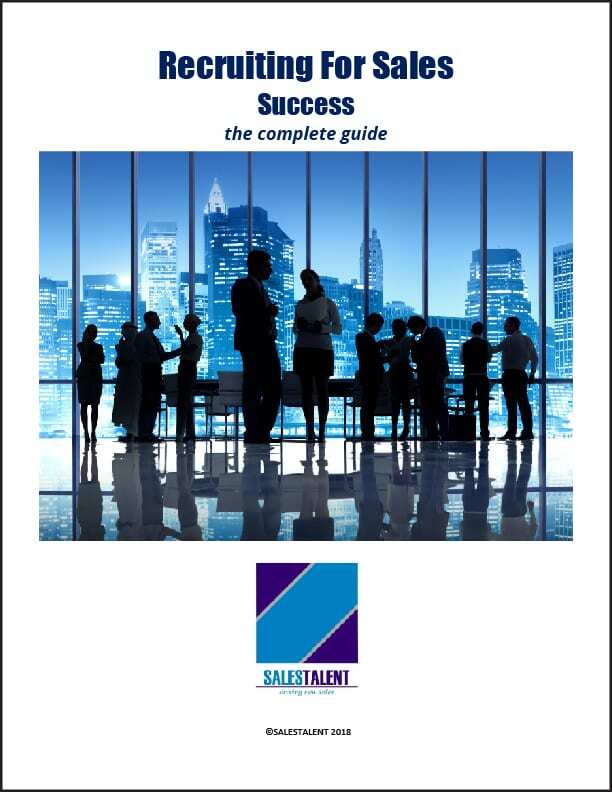 SALESTALENT delivers exceptional results in both recruiting and training. I would highly recommend them for whatever sales and marketing needs your company may have. Phil DempseyDirector of Sales, MDSI Inc. I am very satisfied with the work of SALESTALENT and I only wish we had met them sooner so we might have made better hiring decisions in the past. I would recommend them as a good sales talent agency. My experience with SALESTALENT for sales recruitment and sales training is as good as it gets. I could not recommend this company any higher because they are consummate professionals that deliver results. The SALESTALENT training program was worth every penny. As a result, HPI’s entire staff is better educated, better equipped, and better prepared for success. I was amazed at how quickly your firm was able to ramp up a stream of attractive, qualified candidates for the sales organization here at GE Capital IT Solutions.